The future is fibrous. As anyone who didn't spend 2017 locked in a storage cupboard will have noticed, the zeitgeist is all about the wellness cafe. 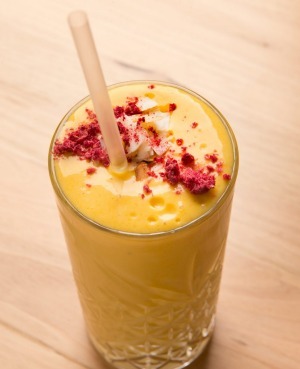 If that smacks of an oxymoron, try Fort Green, a noble contribution to the oeuvre (comforting not conceited; aspirational not asinine), which late last year took over – wait for it – a failed fried chicken shop on Northcote's central High Street drag and has been merrily serving up power smoothies ever since. 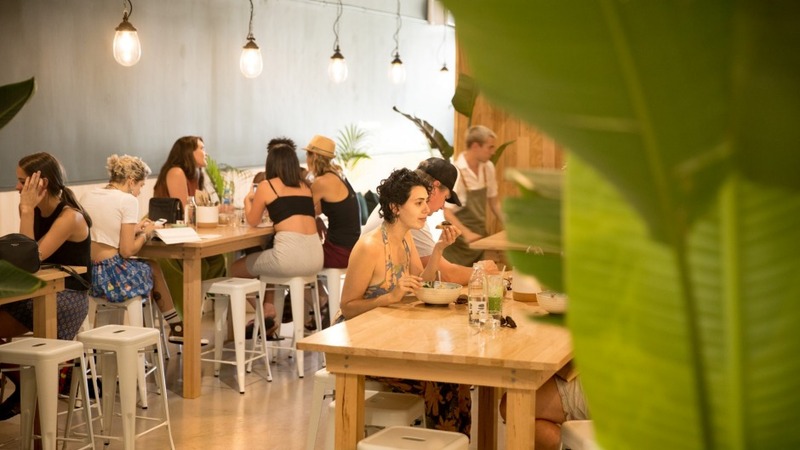 "You can have a healthy salad at so many cafes and they're all same-same," says Bannie Williams, a nutritionist who co-owns Fort Green with Nick Cooke. "We're trying to do something that's different, and tastier." The future is also flexible: the upstairs yoga studio is due to open any time. The aesthetic is as clean and green as the food. There are lots of things photosynthesising in the main dining area among the high stools, timber wall panelling and heritage green walls – and walk out the back through the surprisingly large space and just before the picnic table-clad courtyard you'll hit the nursery, where greenery is for sale alongside edible bits and bobs. 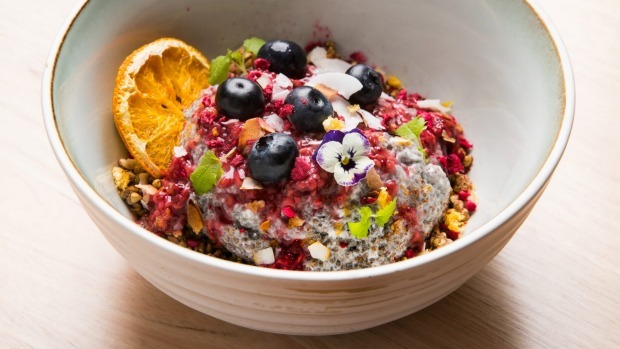 On-trend "bowls" of all stripes start at breakfast, when you can chia pudding to your heart's content with a pretty bowl that also includes raspberry chia jam, freeze-dried raspberries, maple buckwheat and fruit. A falafel bowl will take you through to dinnertime with house-made falafel, two types of hummus (a cumin-y regular and spicy pumpkin on our visit) along with pickled beetroot, avocado and nutty turmeric crisps studded with seeds of all persuasions. Fancy a more ferrous future? 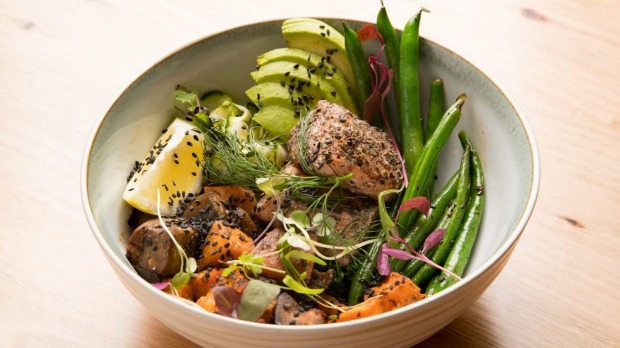 Carnivores have options of beef and salmon, the former cooked in masterstock with kimchi and quinoa, the latter cured in a salt-and-spice rub and green tea-smoked, served with roasted sweet potato, seasonal vegies such as zucchini ribbons and half an avocado. At $16, it's indicative of the keen pricing that will keep your wallet happy as well. In a neighbourhood over-serviced with good cafes, the coffee stacks up nicely. The beans are the Maven blend from Maker Fine Coffee – a medium body and silky-smooth finish helped along by milk from Saint David Dairy. If caffeine interferes with your chakras, go for a rosewater, matcha or golden latte. Nothing to see here in the alcohol department, folks, but the 10 smoothies are the bomb, as you'd expect with Williams being the author of The Smoothie Manifesto. The Fort Green (banana, coconut, kale, spirulina, dates and spinach) practically fizzes with so much green goodness Gwyneth Paltrow should be popping by any day now. Delicious, too. Plus there's kombucha on tap. Yep, we just arrived at Peak Wellness. Avo index: Pretty good. Thick sourdough toast, lots of smooth avo, goat's cheese and red chilli ($14). Overheard: "Don't worry, they cook everything in coconut oil." Loving: The dog-friendly covered courtyard (bring your pooch in via the rear laneway). Not getting: Vegan sweets. A "Ferrero Rocher" bliss ball doesn't quite make the choc-hazelnut angels weep.